The Palace Theatre, a 1,580-seat Thomas Lamb-designed vaudeville house, was acclaimed as Connecticuts Most Magnificent when it opened in 1927. It was restored and re-opened in 1983 for live theatre, opera, dance, comedy and concerts, plus art exhibitions in the Sackler Gallery. A multiphase Palace Improvement Project provided The Palace Theatre with a Broadway-sized stage, new dressing rooms, wardrobe and costume maintenance facilities, as well as other technical-support facilities. 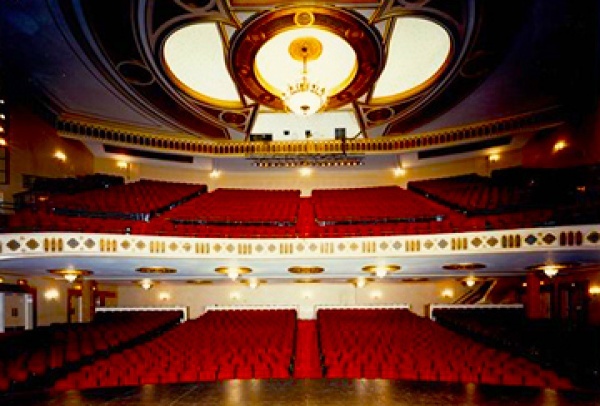 In addition to a full season of cultural and entertainment events, the Palace Theatre is also home to the Ballet School of Stamford, Connecticut Ballet, Lumina String Quartet, Chamber Music Institute, Namaskaar Foundation, Stamford Symphony, and Stamford Young Artists Philharmonic.